Turmeric is a powerful spice which has been around for many years. It has been used in medicine and also in Indian and other styles of cooking. It has a very potent smell that many people recognize when they smell Curry and other types of foods. It is one of the most healthy ingredients that you can use in your cooking, and it also carries with it so many positive health effects that many people do not even realize. This has been used for all sorts of health conditions such as Alzheimer’s disease, reducing inflammation, brain disorders, and so many other things that would take forever to list. I will get into the health benefits later, but you may be wondering how you can use this in your everyday cooking to help incorporate this Herb in your life more. One thing I recommend is to use turmeric tea, the best way to do this is to boil water adding turmeric and let it simmer for 10 to 20 minutes before drinking. Some people like to stir in sweeteners such as sugar or honey but the best sweetener is something natural like lime or lemon juice. Another option that many people use is to put it in a smoothie or something that you can’t taste very easily. The best way to do this is to experiment with what you can and can’t taste. It’s often best to use strong fruits and vegetables that you don’t get a big mouthful of turmeric powder, because that would not be very pleasant. Turmeric is also known for its color , and many people use it to naturally color their dishes and make them more aesthetically pleasing. Some people also use this herb to flavor their milk. The recipe involves adding warm milk and making a thick paste out of it. Not that many people do this in the United States, but it is a very big recipe in India and other countries where they practice Ayurvedic medicine. Another option is to use turmeric in side dishes such as salads. A lot of people will add turmeric, apple cider vinegar, and some sort of healthy oil to a salad that they eat everyday and this helps them to get their daily dose of turmeric that they desire. Some people skip the eating and apply turmeric directly to their skin. Turmeric has been shown to help acne and other skin conditions and is also very well known to reduce inflammation. It has been shown to get rid of wrinkles, and keep your skin looking younger. The way that most people apply this as by mixing it with water and making a thick paste. It’s important to select high-grade turmeric so that you know what you are getting. Many of the supplements on Amazon and other websites are lower quality and filled with powders and other fillers so it’s important to check your purchases. Some of the major health benefits of turmeric are the compounds which make it up , one of these is curcumin. this is the most active ingredient in turmeric and is the substance which is responsible for its powerful anti-inflammatory effects . 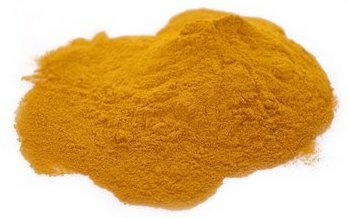 the only downside of turmeric is that curcumin only makes up a small portion of the whole powder. It only makes up about 5 – 10% , so it’s often a good idea to buy curcumin directly . Lots of studies which review turmeric and curcumin are using massive amounts of curcumin, so it’s probably best to purchase a supplement with a high dosage that way you can ensure that you’re getting the dosage which has been studied in the official studies which have taken place. It’s also important to find a supplement which has piperine in it because this enhances the absorption of curcumin which otherwise is quite hard to absorb. It’s important to get rid of inflammation before it overwhelms your body. This is where curcumin shines. As the active compound in turmeric, curcumin is very effective at fighting inflammation and cutting down age-related effects. It stops inflammation at the cellular level and blocks inflammatory markers and signals which tell your body to become inflamed. It has been shown to be quite useful for autoimmune conditions which thrive off of inflammation. In addition to being a very useful substance it is also a very strong antioxidant which helps your body to function and fight free radicals. Free radicals accelerate aging and are responsible for a whole host of negative effect such as organ damage liver damage and other undesirable things. The great thing about curcumin is that it naturally boost your own antioxidants and works with the body naturally. In addition to these things it has also been shown to help the brain, and to lower the risk of brain infection and brain disease. This helps new neurons form in the brain and to increase in number, helping you to become smarter and be able to react faster to certain situations. This also helps to prevent age-related diseases such as Alzheimer’s and Dementia, because these are often formed by neuron degradation in the brain. In addition to being good for your brain it has also been shown to help reduce the risk of heart disease, and improve your cardiovascular profile. It has been shown to help fight cholesterol, and reduce your risk for heart disease by lowering inflammatory cardio markers. It has not only been shown to help prevent heart disease but is also been shown to even reduce early stages of heart disease. Curcumin has also been shown to help as a preventative for cancer, it has been shown to delay cancer cells formation, and it can also prevent and reduce angiogenesis and help to reduce metastasis and the spread of cancer cells to other regions of the body. It has also been shown to directly effect cancer cells and contribute to natural killer cell potency and aggression towards immune cell threats which is a great thing. Arthritis and rheumatoid arthritis have also been shown to react favorably to high doses of curcumin most likely due to its strong anti-inflammatory effect. Curcumin can help to reduce inflammation and someone modulate the immune system, helping with these two symptoms. Since arthritis is all about joint inflammation, no matter what the cause, lowering inflammation often helps patients and their symptoms. The last benefit that we want to talk about is how curcumin can help ward off depression, and fight poor Mental Health. There are multiple studies done showing that Prozac and curcumin work synergistically together, and we anticipate that more studies will be done down the road which continue to prove these results. Depression has also been linked to lower levels of neurons in the brain, and low levels of certain hormones , and high levels of inflammatory markers in those regions. Curcumin is helpful at regulating these neurons and hormones, and lowering inflammation throughout the entire body including the brain.